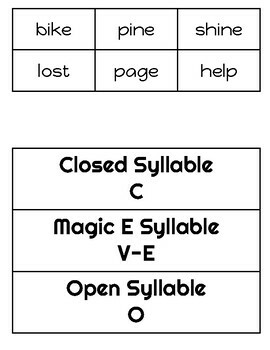 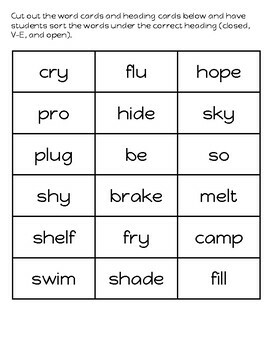 Cut out the word cards and heading cards and have students sort the words under the correct heading (closed, V-E, and open). 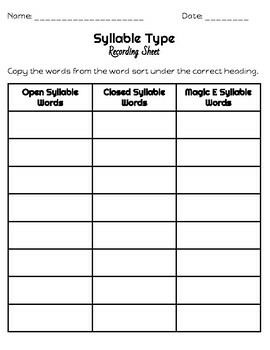 Students then uses a recording sheet and copy down the words. 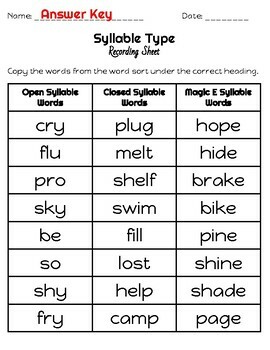 Note: all of these words are 1 syllable.